In Northern Scotland, birch woods (Betula spp.) are a widely distributed, semi-natural habitat that have had a long history of use for forage and shelter habitat for cattle (Armstrong et al, 2003). Others are managed for timber or firewood. Equally there are many birch fragments that are in a semi-natural and relatively undisturbed state. 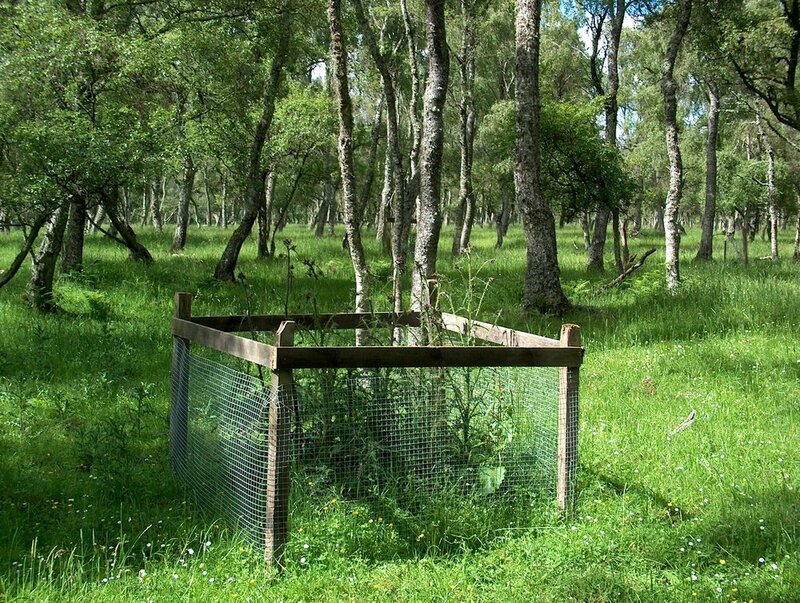 This network of disturbed and undisturbed birch-dominated woods presented a natural experiment and an opportunity for PhD and CEH-led research projects from 2000 to study the impacts of livestock grazing or other management on plant and insect communities and trophic and mutualistic interactions. Birch-dominated woods were selected from a pool of circa 3000 deciduous woodland fragments in the River Dee catchment of Aberdeenshire, Scotland, according to the presence or absence of livestock grazing or other management i.e. logging. Grazing (mostly beef cattle) was light to moderate (for example the 2007 average was 8.4 cattle per hectare) and long-term (median 30 years). Landowners confirmed by questionnaire/interview that sites where livestock were absent had not been grazed by livestock for at least 70–100 years. Roe deer (Capreolus capreolus) herbivory occurred at all sites, but was lighter relative to the effects of cattle herds that were shut into woodlands for extended periods. Depending on the focus of the specific study, the woodland sites used varied. For example, some studies looked at the influence of logging whereas others only focused on grazing and so did not sample logged sites to avoid this confounding influence. Similarly, the number of woodland sites (replication) used in a particular study varied according to practical, logistical or scientific constraints of individual studies. Woodland management by grazing in particular had a major impact, affecting the vegetation structure and uplifting floristic diversity. Management also modified beetle and fly community structure, host-parasitoid relationships, pollinator network structure and the mating success of the marsh thistle Cirsium palustre. A detailed description of results arising from a plant assemblage survey conducted in 2007/8 by PI Adam Vanbergen (formerly of CEH Edinburgh) can be downloaded here. To access the network of birch woodland sites for new research, please contact Chris Andrews at CEH Edinburgh.